Since bottle caps are such a renewable and almost limitless craft supply, it seems that you can never have enough craft ideas to keep up with the resource. I know that I am always saving buckets of those caps for a rainy day and have had several opportunities to put them to use in bottle cap crafts. One of my favorite uses for bottle caps was in the making of these rustic wine glass charms that I used one Thanksgiving. 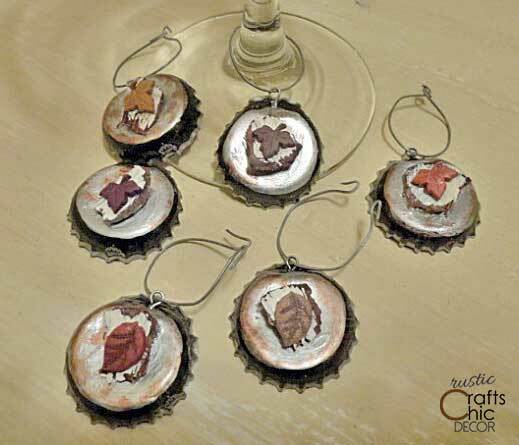 These bottle cap wine glass charms are easy to make and fun to use. In sticking with the rustic theme, I also transformed some bottle caps into fun rustic magnets, using the inside to hold a small stone. Check out the tutorial for both the magnet board and the bottle cap magnets here. 1. 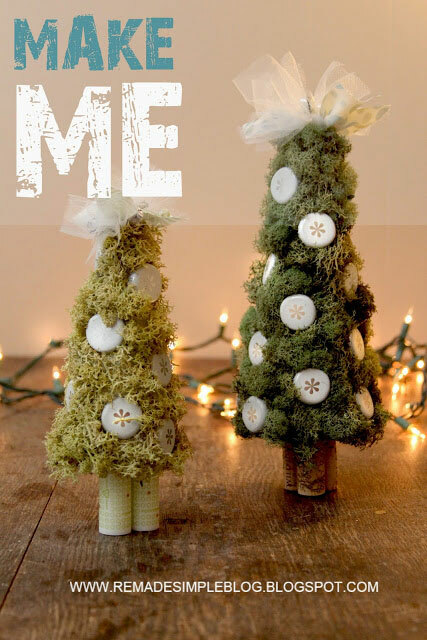 Mini Christmas trees by Remade Simple Blog. I love these mini Christmas trees with bottle cap ornaments. The bottle caps came from Izze bottles and the design is perfect for any winter project. 2. Bottle cap drink garland by Sei Lifestyle. 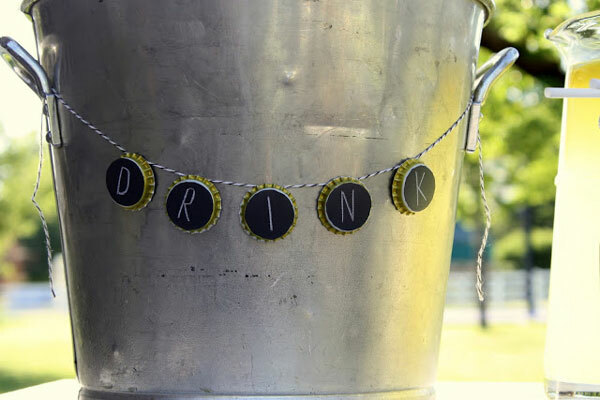 This vintage bucket for drinks looks ready for a party with the fun bottle cap garland. 3. 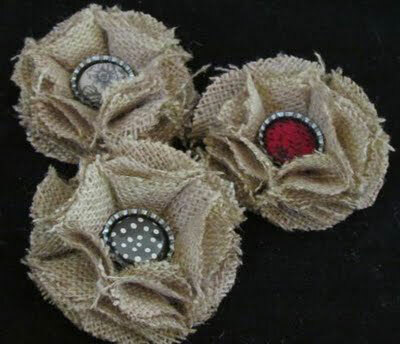 Burlap and bottle cap flowers by My Legacy. Do you collect bottle caps? 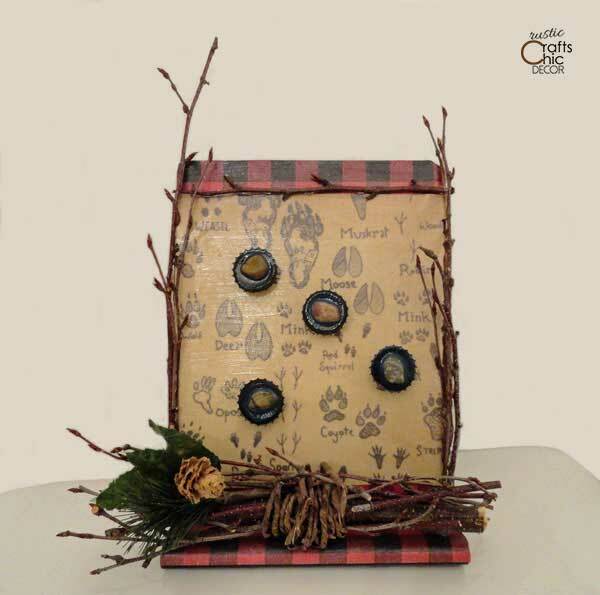 What have you made with your collection? 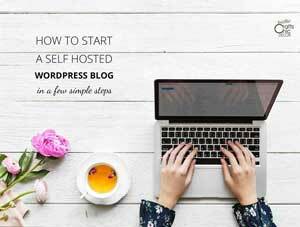 Share your ideas below! LOVE the drink sign! Really splendid ! How I can write the message flawlessly?